I like to think that my readers are wise people, so I thought I’d write some ‘Guidance’ on foraging sustainably instead of making ‘Rules’. I’m not a rules sort of person. I’ve also phrased them positively as Dos rather than as Don’ts because I am that sort of person. This is the second part of the Sloe Trilogy where you use the same batch of sloes to make wine, vodka and fridge jam. In the first part I showed you how to make the wine, here are the instructions for the vodka. 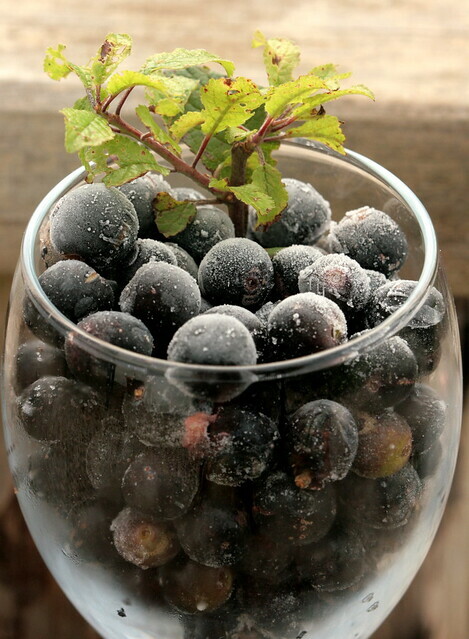 When you have strained the sloes off the wine ‘must‘ you can use them to flavour vodka. I suggest vodka for this because, unlike with gin, you don’t get that big juniper hit which may not be so nice in your breakfast jam. If you’re coming into this without having made the wine, just use freshly picked sloes. You’ll need to squish them and this is easier to do if you freeze and thaw them first. I like making the most of a harvest. Especially when the harvest is as hard won as picking sloes. So I wanted to work out a way of getting multiple products from the same batch of produce. I don’t mean dividing the produce and making three different things, I mean using the product sequentially for different products. I was astonished at how well it worked. First I used the sloes to make wine. Then I used them to flavour vodka. Finally I made a fridge jam. So I had 6 bottles of wine, 1 litre of vodka and half a dozen jars of jam from 1.5kg of sloes. The process is really very simple with some modest bits and bobs you should have around the kitchen. So in this first post, I’ll tell you how to make the wine. In a second post in a few days I’ll show you how to make the vodka and then the jam. 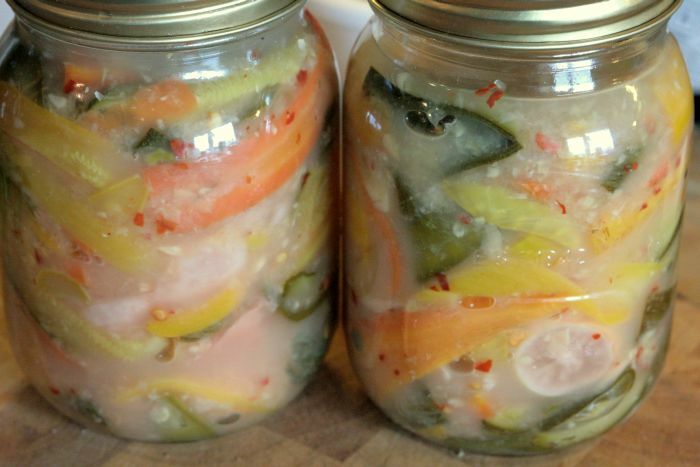 Kimchi is a traditional Korean spicy vegetable pickle. The veg starts off being brined and then it’s rinsed and allowed to ferment in a paste of onion, garlic, ginger and chillies. It’s normally made with shredded chinese style cabbage as the base with other vegetables included. Basically, you can make it with anything, even fruit. Interestingly, the cabbages and the chillies were not indigenous to Korea and are relatively modern imports in the history of kimchi making. The kimchi can be widely used in soups, stews, dumplings and even grilled cheese sandwiches and mashed potato. I made enough for a 1 litre kilner jar as I was experimenting. The beauty of this method and recipe is that you can make as little or as much as you like. So it’s a great way of using up excess vegetables that you can’t use immediately they are harvested. The smell of this bread when making, baking and eating is heady. It’s redolent of warm summer evenings in Morocco with spicy orange & sweet cinnamon. You’ll be hard pushed to leave it once it’s out of the oven for the crumb to mature. I think it must be mildly addictive. I came by the recipe by a lucky accident. I ‘met’ Carla Tomasi on twitter and we started talking food & bread. Lucky for me because Carla is a former chef, restauranter and all round generous good egg. Even luckier for me because Carla is based over 2000km from me in Rome and we would never have had the chance to swap recipes if not for Twitter. 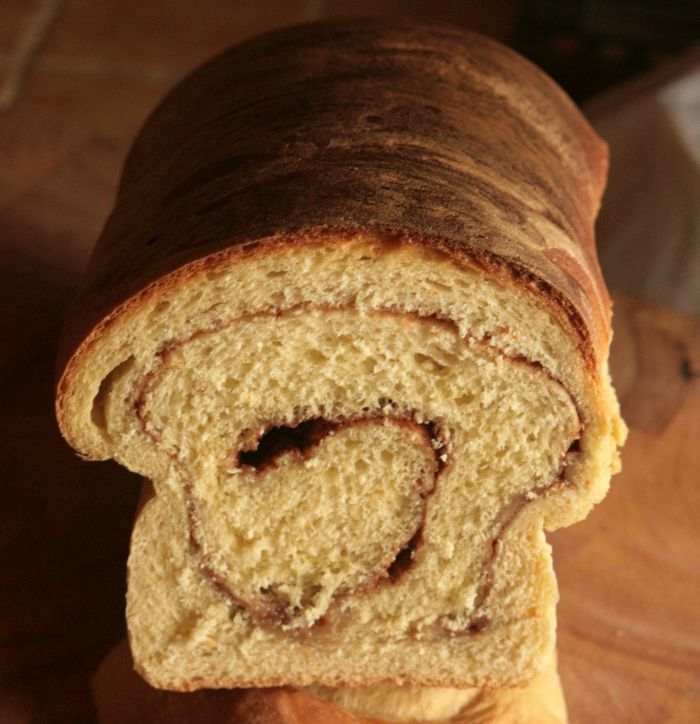 Carla’s brioche recipe is legendary amongst her friends and rightly so. She tells me that it originally came to her from a Swede living in Spain. So it’s truly an international recipe and Carla is keen for it to be more widely baked. So she kindly agreed to me posting it here. The bread is lovely just sliced and by itself, butter is an additional bonus and it’s wonderful lightly toasted. Most brioche doughs have huge amounts of butter in them, this recipe has only a small amount for less fat worries. It’s apple harvesting time. You may be wondering what else you can do with nature’s bounty after the pies, chutneys, jellies and the like. While going through Sandor Katz’s book I mentioned in Fermenting Revolution 1 I saw home made vinegars. 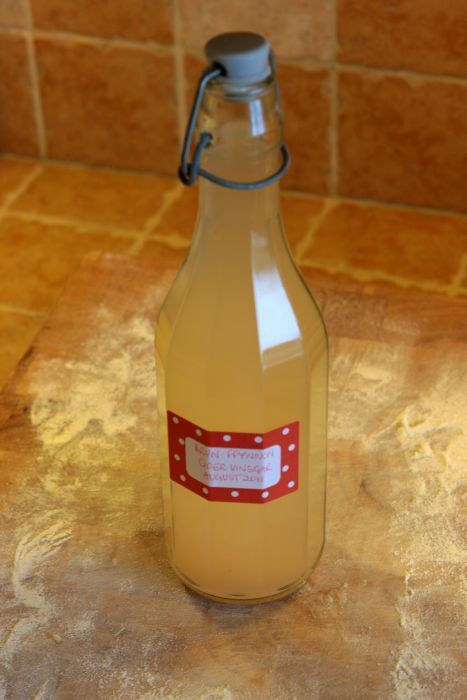 And I’ve found that making vinegar really is very simple and the result is truly delicious. What you do is to allow the chopped fruit to steep and then ferment in some sugar solution. With apples this makes cider. Then, with only a little luck, airborne acetobacter (bacteria that makes vinegar) will populate the cider and convert the alcohol into acetic acid. That’s it.